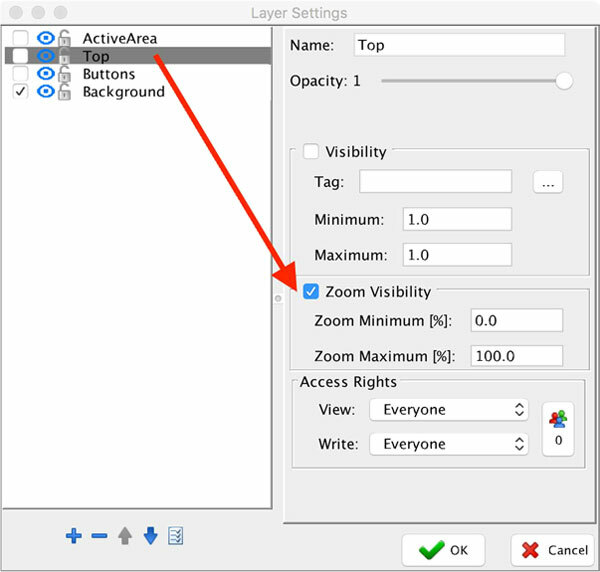 With zoom visibility animation, you can show and hide objects or even layers based on the zoom level in runtime. This animation can be used in many scenarios. Imagine the following situation: you would like to give your user an overview of your complete technology, but it needs to fit on one screen. As the user zooms in, he will see more details. You can achieve this by using zoom visibility animation. 2. Fill in the minimum zoom level where the object will be visible; accordingly, fill in the maximum zoom level where the object will be visible. 2. Fill in the minimum zoom level where the layerwill be visible; accordingly, fill in the maximum zoom level where the Layer will be visible.